“Martial arts is more ancient that you can imagine. Everyone who has practiced it sees it as a mode to honing one’s physical and psychological abilities. Everything about this art is just amazing”. With these things in mind, you might be compelled to learn it. 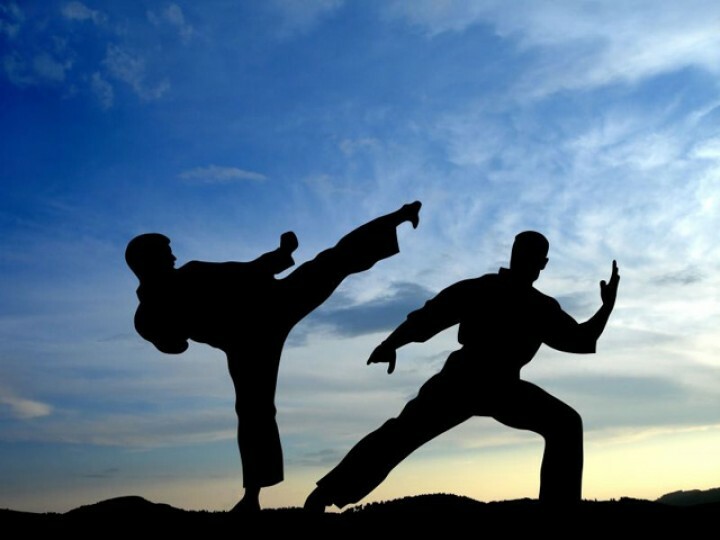 In the present times, most people opt for martial arts simply because they want to enhance their self-defense. At the same time, there are also those who learn it just to impress their girlfriends. You have no idea about the stupid reasons people use to learn this art. There are also some attention seekers and paranoids who try engaging themselves in martial arts just to give others a reason to notice them. Martial arts is different from Kung Fu. One difference is that Kung Fu is based on defying the laws of physics. You might have seen some Chinese movies in which the fighters do not even touch the ground while fighting. Well, this is really absurd as the laws which govern this physical universe can only be bent not broken. Martial arts is based on discipline and reverence. I am not here to inform you about the benefits of martial arts, but rather to share with you some of the most hilarious and stupid myths about martial arts. Here are the 5 most stupid martial arts myths. Yet again, you might have heard or seen in the movies that the martial artists are able to grab arrows in the air. The answer to this question lies with Anthony Kelly. He is the guy who holds the record for catching the most number of arrows. He has testified and even shown it hundreds of times that it is possible to catch arrows out of the air, but after years and years of practice. Not everyone in the world can do this, except for reaction guy-Anthony Kelly. Now here, the speed at which the arrow is fired is to be considered. Another factor to consider is catching the arrow at the time when one’s life is in danger. Bloodsport-the movie was the first popular attempt to let the world know about the Kumite and the 100 Man Shields. You won’t believe, but the kumite is a real thing. There is nothing fake or false in it. This contest is based on back to back fights. In other words, there are 100 opponents which you need to defeat in order to emerge successful. After each 2 minute match, you get a 60 seconds relaxation after which you face your next opponent. The objective is to defeat more than half of your opponents and to get an idea about your endurance. There are some places in the world where the event actually takes place. According to some reliable sources, there are also 14 people who have managed to win the 100 Man Contest. There are critics who assert that bringing down your enemies with everyday projects is a myth and not real. Well, there are a number of experienced martial artists who can it easily. For example, it is shown in the movies that Chinese women use bamboo fans to knock out their opponents. It is true, but depends on the skills you have. Your grandma might not be able to knock out her opponent with it, but a trained and experienced martial artist can. You might remember the movie, Drunken Master starring Jackie Chan. The movie was actually based on a myth that some Kung Fu Masters fight at their peak while being drunk. For those who do not know, this form of martial arts fighting is legal. You will be thinking that how can one fight while stumbling here and there. Well, if you look closely it is a great technique as it allows your opponent to underestimate you. Moreover, he or she won’t be able to understand your fighting style. This style of fighting is really devastating, as using it you can knock out your target in a matter of a few seconds. There are several movies which tell you that it is possible to break out through a wooden coffin buried several feet below earth. Breaking through many inches of wood is not a myth. It is possible and there are some people who have shown this stunt. Bruce Lee was the first person who perfected this technique. The 1 inch punch did not die with Bruce Lee, as there are a number of shaolin monks alive who can easily do it. History Channel shows a number of documentaries in this regard. After having read these techniques, you should think about taking up martial arts.